Showing results by author "Maximilian Gray"
Alvin Baylor was tasting glory as a cyber-athlete, until scandal ended his career. Now he spends his days at a dead-end job in a constant hangover haze. And with the North America of 2117 fractured into corporate territories, who can blame him? 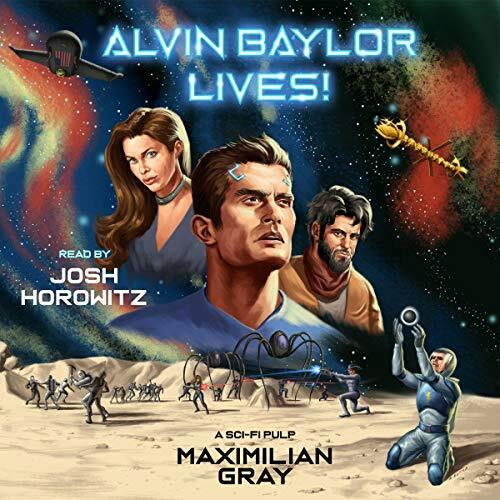 But Alvin is about to get a life-changing proposition: serve his corporate overlords on a secretive delivery mission to an asteroid-mining colony. Riding an all-expense-paid cruise to the frontier of the solar system, Alvin doesn't know that a mysterious female assassin is coming to steal the technological marvel he's delivering. It's the opportunity of a lifetime...but Alvin Baylor just might pay with his life!